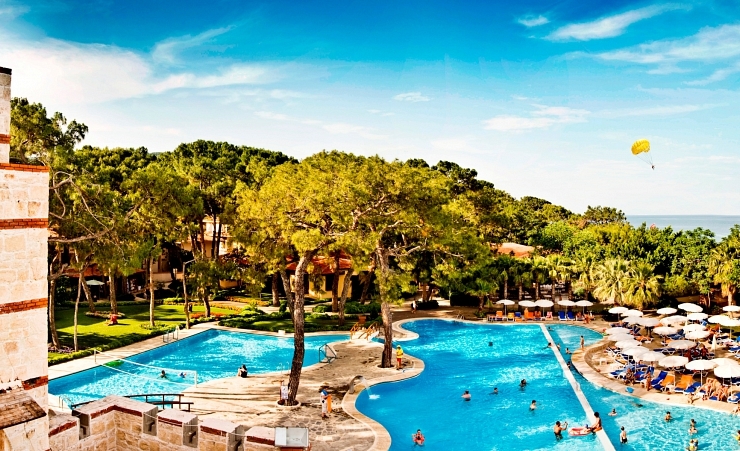 Kemer Holiday Club is located in the region of Kemer in Turkey's Antalya area. 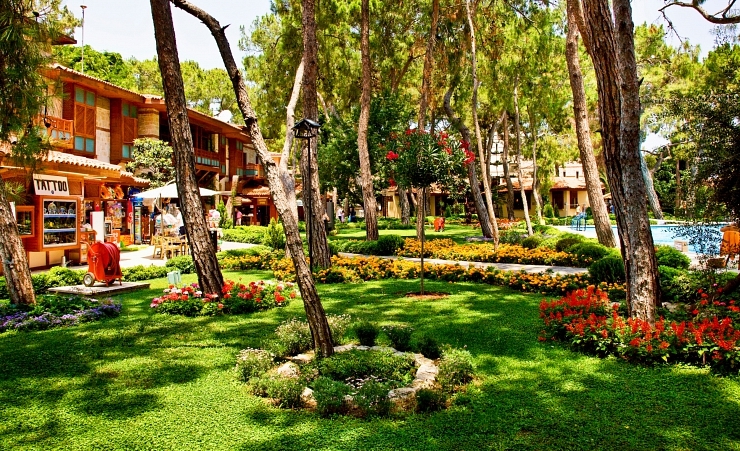 The hotel lies directly on the beach and is surrounded by lush greenery. 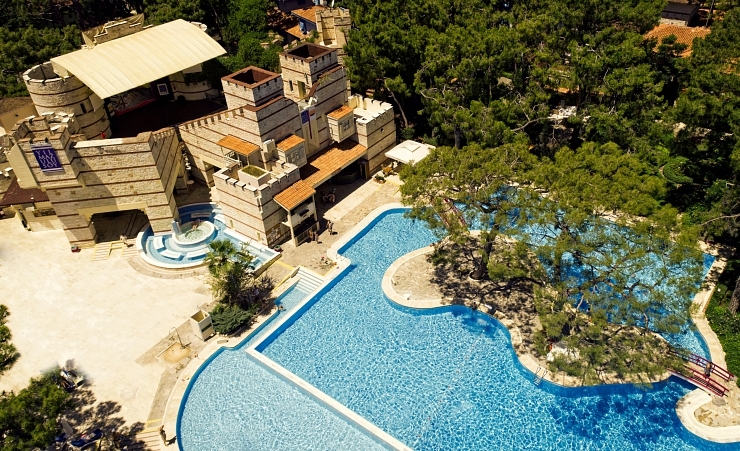 Guests can use the hotel's Swimming Pool to relax in the sun, with a separate Children's Pool also on site, the Kemer Holiday Club caters for all. There are plenty of sporting activities to take part in during your stay as well as making use of the Fitness Centre. The kids are not left out here, with a mini club with games, discos and playgrounds to enjoy during their stay. 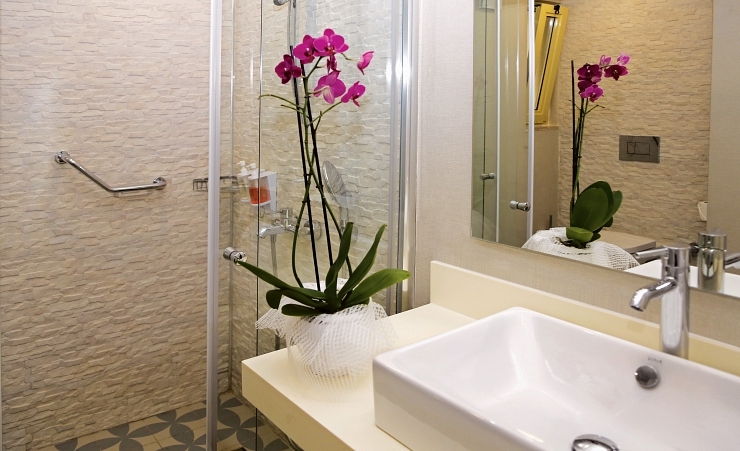 Guestrooms come equipped with a private bathroom with shower, TV, safe, mini-bar as well as either a balcony or terrace which offers a glorious view of the gardens. 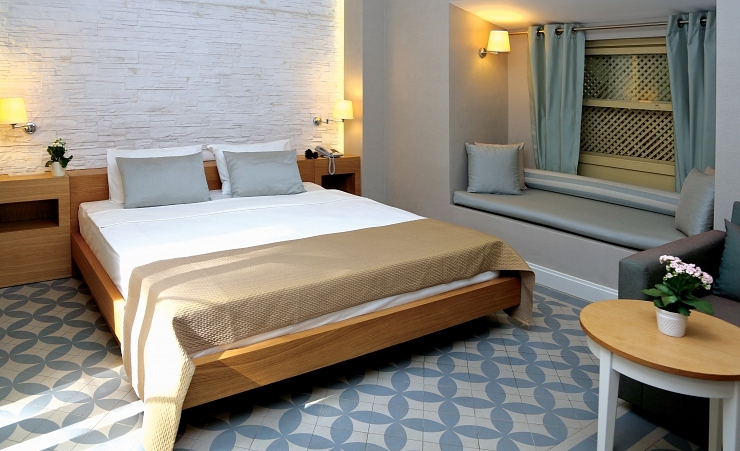 Upgraded rooms are available at a supplement. 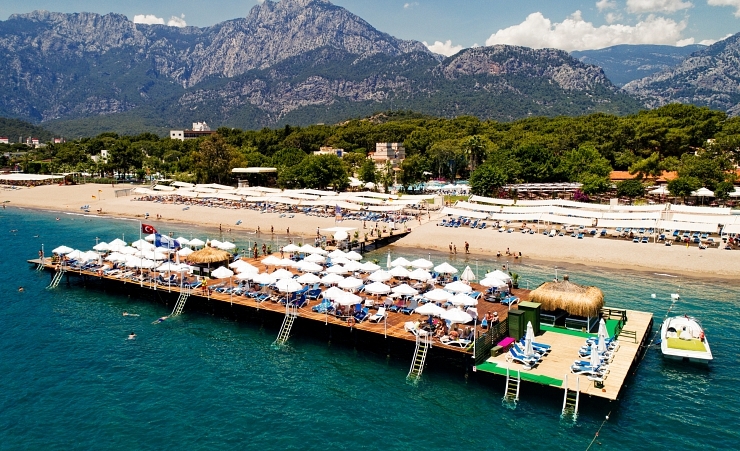 Kemer makes up part of the 'Turkish Riviera', located on the southern coast of Turkey within the Antalya region, overlooking the Mediterranean. 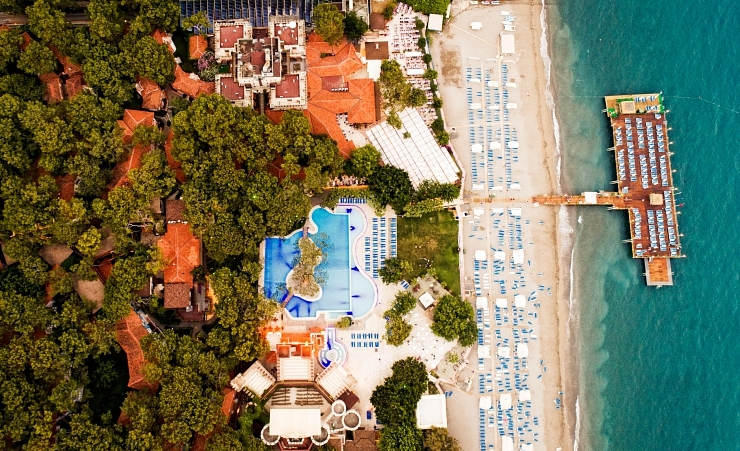 There is a large natural environment here, including the sea, mountains and forestry, making Kemer a fantastic place to visit for every type of holiday. In the centre of town, you have boutiques as well as a marina which sits between the town's two beaches and has boats from all over Europe docked here. If you go further out, you get a sense of the area's historical background, where you will find Roman ruins to explore, most notably Olympos and Mount Chimaera. 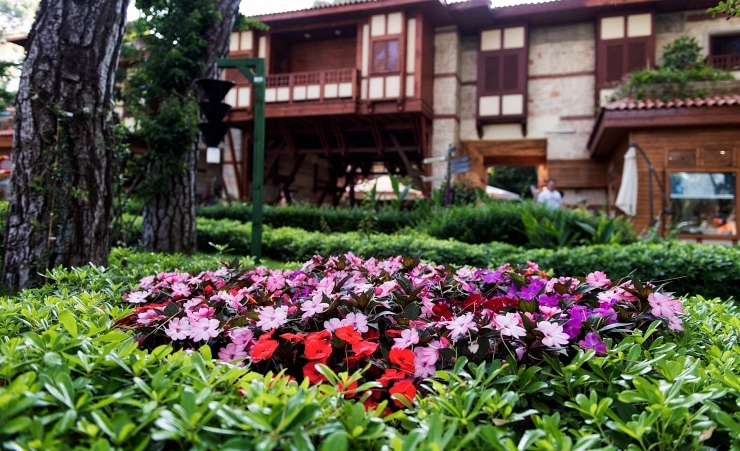 The streets here are wide with lots of trees and flower beds to make the area stunning, with plenty of shops and restaurants for you to enjoy. The nightlife here is extensive, with a number of bars and nightclubs available for you to enjoy your evening.